Nagaland Chief Minister T.R. 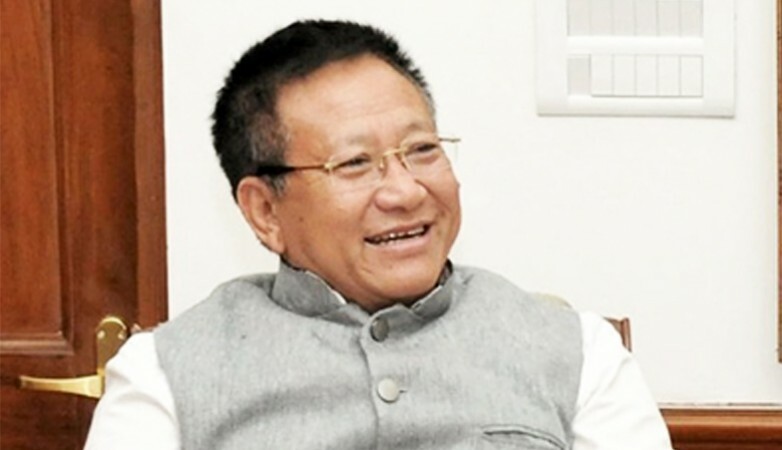 Zeliang's office on Wednesday filed an FIR over a fake letter with forged signature against unknown persons for spreading false information on social media that he has resigned. The fake resignation letter with Zeliang's signature addressed to Nagaland Governor stated: "In pursuance to the resolutions adopted in the Assembly and owing to strong public demand to resign for paving to bring early settlement of the Naga political settlement, I hereby along with my whole team of cabinet ministers tender resignation with immediate effect." In the complaint, an official attached to the Chief Minister's Office stated: "A fake and forged letter of Chief Minister (Zeliang) is floating on social media and in particular WhatsApp. "The letter head of the Chief Minister Nagaland has been forged as also a fake letter number has been given. Further the signature of the Chief Minister has been forged by apparently using an image to superimpose. A computer print out of the WhatsApp message is enclosed," OSD to Chief Minister Ruokuovizo Chupno stated in the FIR to Kohima Police. "This is very serious and amounts to cyber crime as also spreading rumours with an objective to create confusion and create unrest in the society. This is mischievous, malafide and has been done with criminal intent," Chupno stated.